The first EPMESC Conference took place in 1985. It was during the Conference, recognising the success it had been, that the promoters decided to organise other EPMESC conferences, giving birth to a new series of international meetings devoted to computational methods in engineering. The variety of subjects covered by the papers submitted to the 7th Conference demonstrates how much computational methods expanded and became richer in their applications to Science and Technology. New paradigms are being cultivated as non-numerical applications started to compete with the more traditional numerical ones. The scientific and technological communities to which the EPMESC Conferences used to be addressed themselves have changed. The two-volume Proceedings that we achieved to gather represent many of the interesting developments that are taking place, not only in the Asia Pacific Region, but also in some other scientifically advanced parts of the World, and cover a vast list of subjects grouped under the following headings: Applied Mathematics; Physics and Materials Science; Solid Mechanics; Finite Element and Boundary Element Methods; Structural Analysis; Structural Dynamics and Earthquake Engineering; Structural Engineering; Reinforced Concrete; Knowledge-Based Systems; Artificial Neural Networks and Genetic Algorithms; Computer-Aided Instruction; Computer-Aided Design and Computer-Aided Engineering; Geographic Information Systems; Environmental Applications; Road Engineering; Geotechnics; Soil Mechanics; Fluid Mechanics and Hydraulics. Two hundred and fifty one summaries were accepted, many of them with comments and restrictions, by the Programme Committee. From these, 153 papers resulted, many of them from Portuguese and Chinese origin, that were submitted to the revision of an international panel of referees from Australia, Belgium, Brazil, China, Italy, Macao, Portugal, Switzerland, United Kingdom and United States, to which we gladly acknowledge our gratitude and appreciation. 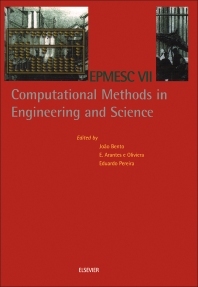 For engineers and academic and scientific institutions specialising in computational methods. Development and achievement of -D model bases for the robot virtual assembly system (Z. Zheng et al.). Automation of bridge design process based on a deck geometric model (A.A. Sampaio). Development of a computer-aided design system based on a BEM approach for earthing grids in stratified soils (J. Colominas et al.). Computer-Aided Engineering. Tensile testing of textile yarns on a new high speed dynamometer operating by a piezoelectric sensor (J.M. Freyburger et al.). Computational support for quality control in the precast industry (F.A. Branco et al.). Building systems based on concurrent engineering (A.K.B.S. Duarte et al.). A computer random ray- tracing model in room acoustics (G. Jian, W. Shuoxian). Instrumentation of a daylight measurement station (A.S. Ribeiro et al.). A version model for an online software repository (C.P. Tou, R.P. Biuk-Aghai). Computer aided engineering and manufacturing of a "UVD" timber dryer (V. Dumitru et al.). Manufacture and computer aided engineering of rolls with attack cone used in cold rolling of external cylindrical threads (T. Stefan, B. Anton). Functional modelling and computer aided engineering of a plastifier for curved furniture (V. Dumitru et al.). A Portuguese-Chinese on-line domain-based machine translation system (F. Wu, Y -P. Li). Involving statistical factor analysis for disposable surgical clothing properties prediction (M.E.C. Silva et al.). Geographical Information Systems. Assessment of groundwater drastic vulnerability to pollution using GIS (Q. Yang et al.). Mapping urban quality of life in Portugal: a GIS approach (J.F.G. Mendes et al.). The -sets classification problem (J. Matos et al.). Distributing geological and mining information through the world wide web (J. Lopes). The D component of geomist, the geological and mining information system on the Iberian pyrite belt (L. Torres). Acceptance plans for attribute values in GIS datasets (J. Casaca et al.). Environmental Applications. Decision support systems for water resources planning and management (J.M.P. Vieira). Mesh generation and refinement in D hydrodynamic modelling: a case study (J.L.S. Pinho et al.). Water quality modeling and water environmental capacity analysis of the area surrounding macao (H. Chai et al.). Simulation of the effects of reclamation works on flow and sediment transport in the area surrounding macao (L.I. Portela). Comparison of numerical techniques solving longitudinal dispersion problems in the river Mondego (A.A.S. Duarte et al.). Comparison of different simulating annealing implementations: the least- cost looped-water network design case (J. Sousa, M. da Conceijdo Cunha). AquoMin: a software for mass exchange network design (P. Castro et al.). Road Engineering. Simulation of interaction between off-road tire lug and soil by a modified DEM (A. Oida, S. Ohkubo). Accounting of distance influence between vehicles wheels over stressed-deformed road constructions conditions (Sh.M. Aitaliyev et al.). Flexible road pavement design: validation of recent approaches to loading and materials behaviour (A.M. Baptista et al.). Properties of high modulus asphalt concrete: contribution to the use of a recent road material (S.D. Capitiio, L.Picado-Santos). Evaluation of occupant risk for longitudinal traffic barriers (G.D. Lee et al.). Geotechnics. Computer aided modeling procedure for complex geometry of rocks (T. Seiki et al.). Experimental and numerical study of a concrete dam failure on a jointed foundation (C. Pina et al.). A review of hydromechanical models of rock masses for analysis of pressure tunnels (L.N. Lamas). Hydromechanical modelling of pressure tunnels -a case study (L.N. Lamas). Numerical elasto-plastic analyses of stress and deformation of embankments on soft soils (M. Luan et al.). Numerical simulation of large-strain dynamic tests on driven piles (P. Pinto, M. McVay). Prediction of pile bearing resistance (A.P. Kong, M.S. Subrahmanyam). The application of stable configuration in deep foundation pit support structure (Y.Q. Yuan, L. Xian). Analysis of a group of piles: a comparison of computation methods (H. Novais-Ferreira et al.). About statistical variation of bearing capacity of driven piles -Macau foundation code (H. Novais-Ferreira). A numerical method for the interpretation of horizontal load tests of fixed-head pile groups (A.G.F. de Sousa Coutinho). Soil Mechanics. Analysis of strip footings on a layered medium (M.Z. Asik). Significance of the particle rotation on the mechanical behavior of the granular materials (A. Mahboubi). Numerical simulation of an embankment built on a soft deposit applying the "Melanie" model (L.J.L. Lemos et al.). Prediction of deformation of diaphragm wall (M.S. Subrahmanyam, L.H. Sai). A case study of dike failure by limit equilibrium (S. Qiang). Optimized planning of subsurface investigation (M.S. Subrahmanyam, I.T. Ng). The application of computer in analyzing foundation strength and plasticity (K. Shenglan, K. Ying). Application of pattern search method for slope stability analysis (H. Mo et al.). Fluid Mechanics & Hydraulics. Morphodynamic evolution processes in coastal and estuarine regions: a case study (J.S. Antunes do Carmo, F.J. Seabra Santos). Study of hydraulic transients in simple pumping pipes: simplified methods vs. the method of characteristics (A. sa Marques et al.). Numerical modeling of pump-sump water intakes (J.M. Silva, L.S. Heng). First order heave response of a free floating spar buoy in a random seaway (R.C. Barros). A dynamic model for reciprocating compressor parametric analysis (C. Boccaletti, G. Cerri). Three-dimensional aerodynamical wing investigations based on structured meshes (A.L. de Bortoli). Method of geometrical immersion and its numerical realization for problems of elasticity theory (V.P. Matveyenko et al. ).